Polynesia (which means "many islands") is one of the three major categories created by Westerners to refer to the islands of the South Pacific. After a century in storage, this “Whale Rider” got a visit from his descendants—and received a token of their love. This photograph commemorates a historic royal visit and captures the practice of Fijian gift exchange. Hawaiian nobility donned these “red garments” in ceremonies and battle and later gave them to Europeans as gifts. This “lost or stolen friend” left Easter Island in 1869. 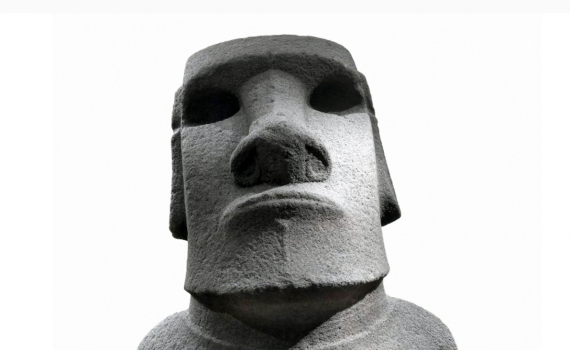 Carved of dense volcanic rock, it towers over the viewer. Ignore the Western name—spinning this object opened a channel of communication between ancestral and human realms.